Are you participating in Earth Hour this year? Tonight people all over the world are joining in on the largest grassroots environmental movement and showing their commitment to climate change action. A simple way to participate is by turning off all non-essential lights from 830-930pm local time. Millions of people, businesses, cities, and landmarks, such as the Empire State Building are celebrating Earth Hour. Join in on the historic lights-out action. 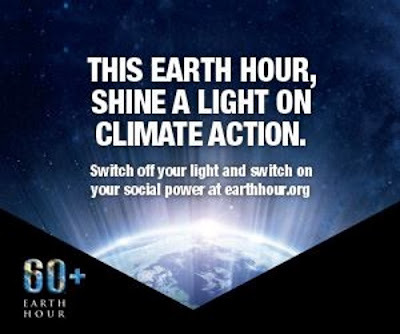 Please tell your friends that you’re all in for ‪#‎EarthHour‬ and ask them to join you. Click here to see live feeds of Earth Hour across the world.